This is Kyle. He is Name.com's graphic designer. He's very good. His domain is not good (his words, not ours). But now .DESIGN domains are available, so Kyle can get a domain that's really great. You can too. Bottoms Rupp is our weekly Happy Hour, hosted by Name.com product manager John Rupp. It's each Thursday from 3–5 p.m. MST. This week we're doing 50% off hosting plans. 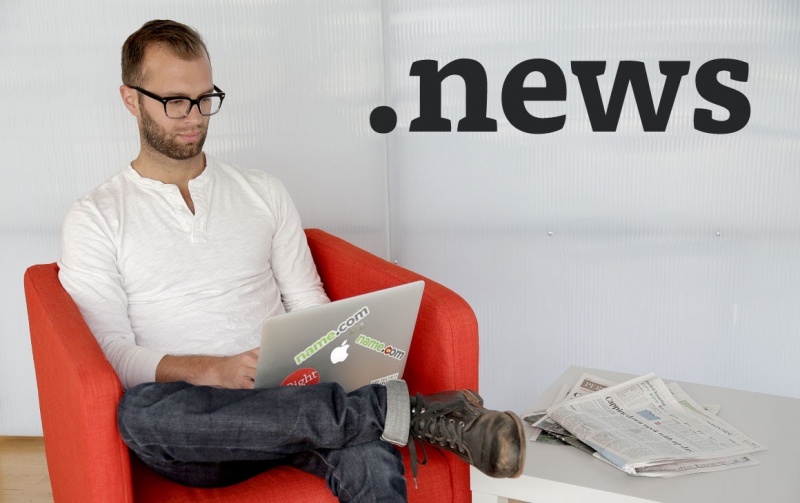 Later this month we're going to have big discounts on .WEBSITE domains and (drumroll please) … a $0.99 .COM sale. Stay tuned to the Bottoms Rupp page for details. You probably know about hosting and email. Those are the domain basics. But there are so, so, so many ways that you can use your domain—many of them free. Name.com Apps puts them all in one place. .NEWS is currently available for Preorder, and hits General Availability on July 15, 2015. How could you use .NEWS? How about a landing page for your press releases? Or a unique domain for a new blog? Or the next extremely popular news website? The June 2015 promo code is FRENCHTOAST. We had some in the office last week, and it was delicious. I might even dare to say that it was scrumptious! Use the code at checkout for $10.25 .COM and .NET registrations and renewals. The code is valid through June 30, 2015.